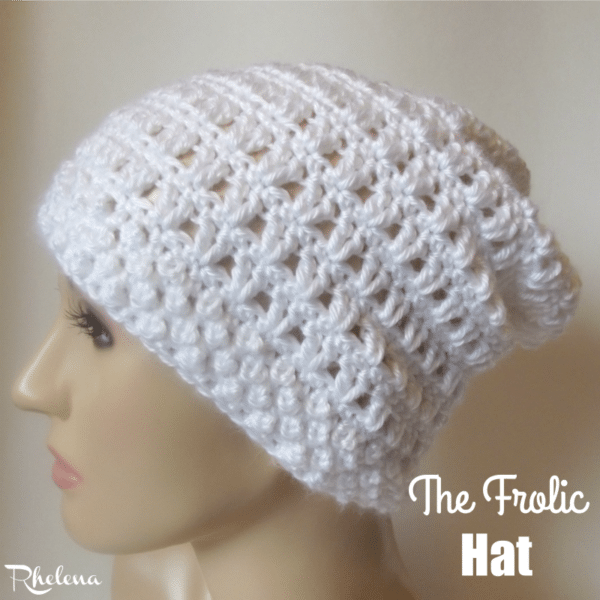 The frolic hat is super easy to crochet from start to finish. Along the brim I worked some bobbles, then afterwards I alternated between a single crochet and double crochet round. It’s a pretty stitch that’s perfect for winter or spring. The pattern is given in one size only, but the brim is easy to adjust to any size that you want from baby to adult. As for the height, the hat is started at the brim and worked in a tube, which makes it easy to adjust in height as well. And it’s crocheted in a soft worsted yarn, which gives it a nice and comfortable stretch. Gauge: Approximately 3″ over 10 sts. Finished Size: Laying flat it measures 9.5″ across by 9″ high. Rnds 4-5: Rep Rnds 2 & 3. Rnd 6: Ch 1, sc in same st as join and into each st around; join with sl st in first sc. Rnd 7: Sl st into next st, ch 3 (counts as first dc), work another dc in same st, *sk next st, 2 dc in next st; rep from * around; join with sl st in first dc. Rnds 8-27: Rep Rnds 6 and 7. Rnd 28: Ch 1, sc2tog around; join with sl st in first sc2tog. (35 sts) Fasten Off leaving a 10-12″ tail to weave in through the last round. Then weave tail end in to secure. 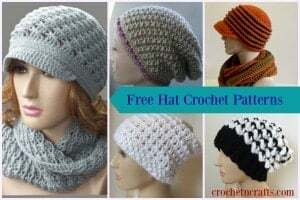 And don’t forget to check out the rest of the Free Hat Crochet Pattern Collection here on CNC. 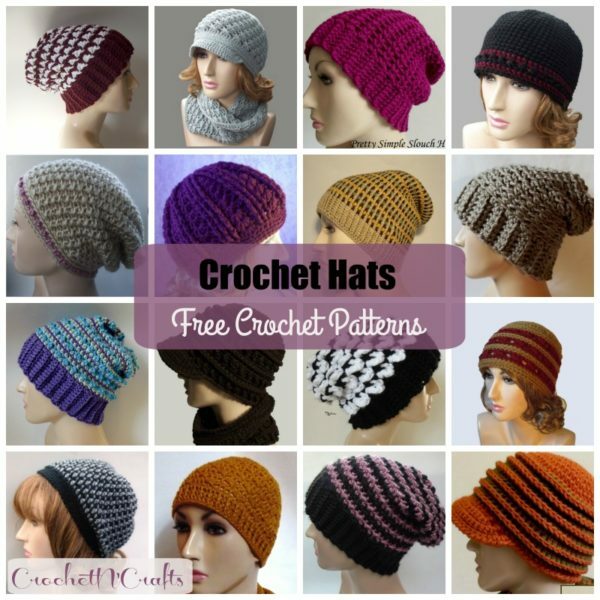 Or, check out the collection for crochet cowls to find something to go with the above hat.